Just about anyone can build a website, and most people can even have a pretty good looking site, BUT does that mean it’s a good website design? If your customers can’t find your “pretty” website then what good is it? You need a website design which is optimized for Google and the other search engines so it will rank well in the search engine results. A well thought out, fully optimized and content focused website is imperative to a successful internet marketing campaign. Does this mean your website design needs to be stuffed with confusing columns of information and uncreative stock photos? NO – NOT AT ALL, in fact, just the opposite! Website optimization is a fine balance between providing what the search engine wants AND what the users are looking for. We want to reflect you and your business 100% and make it easy for your customers to quickly find what they are looking for once they get to your site! FLIP Marketing and SEO makes it OUR business to find out more about YOUR business. We need to know what your customers are looking for, what your customer’s age range is, the dominate gender of your customers, and if your customer is expecting to see a professional website design or a creative, edgy website design? For example, an attorney would have a much different site then a preschool or a Sports apparel website. We will be creative and make your website stand out and be noticed…..by Google AND your customers! Your website is the foundation for a good SEO (Search Engine Optimization) strategy. 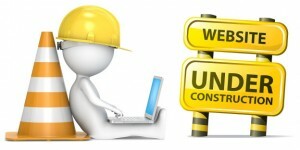 The architecture of your website design is the framework which makes everything work together. SEO can NOT happen until the website’s structure, content and meta data are constructed correctly. Expecting top Google results with a sub-par website is like expecting top dollar for a house built out of straw. It may not LOOK like your website design is much different from your competitors but FLIP Marketing and SEO will make sure the framework behind the design follows the search engine webmaster guidelines and gives you the best SEO opportunities in Scottsdale, AZ. Just like the frame of a house – you may not SEE the difference, but there definitely IS a difference!